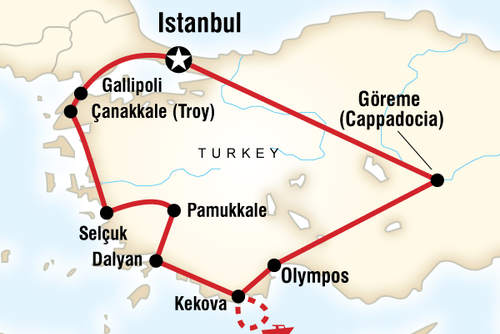 Travel to the edge of Europe with this Turkish & Greecian adventure. Hang out in the cool city of Istanbul, see the sombre memorials at Gallipoli, visit the port towns of Canakkale & Kusadasi, & dip in the thermal pools of Pamukkale. Later it’s on to the islands for a taste of Greece. Check out the fortified town of Rhodes before topping it all off with a visit to paradise - Santorini. There's no shortage of memorable moments here, from haggling at the bazaars, to climbing the Trojan horse to just chilling on the beach. Check-in to your hotel & meet up with your Contiki team & fellow travellers this evening in Turkey’s capital, a busy metropolis where East literally meets West. 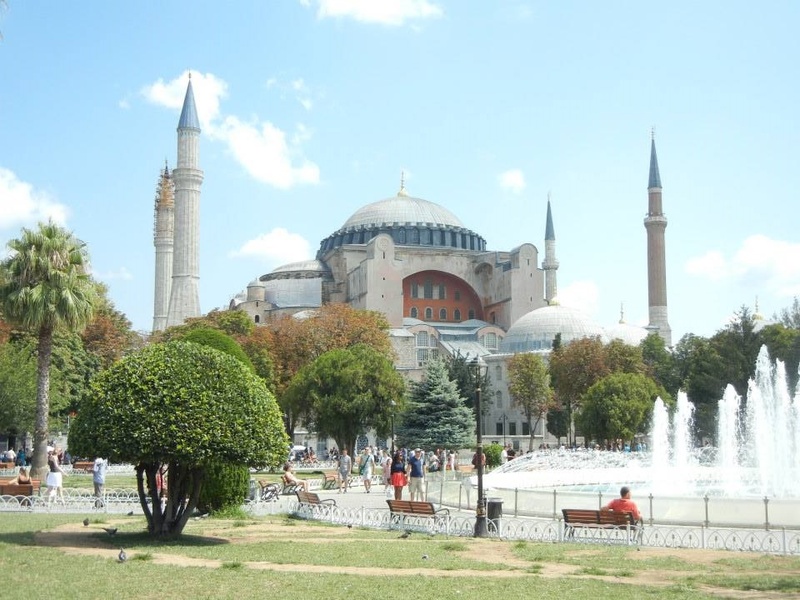 Today, our Local guide shows you one of the city’s major draw cards, the stunning Blue Mosque. It’s an amazing building with a series of domes and minarets dominating the skyline, complete with a breathtaking interior of tens of thousands of blue tiles. After that, we head right into the heart of the city and plunge into several kilometres of shops at the Grand Baazar. It’s an unforgettable shopping experience. Our Local Guide gives plenty of pointers and will lead you through a maze of lanes, where tacky trinkets and authentic treasures are sold side by side. With carpets, jewellery, spices, music, electronics and more, the place is buzzing, so make sure you’ve got your haggling hat on. There are heaps of options for your time here. Monument-wise there’s Topkapi Palace for a look into the sultan’s lifestyle and Hagia Sofia church to give you a feel for Constantine’s empire. Otherwise, live a bit of Istanbul’s daily life. Try your hand at backgammon in a sidewalk cafe and watch the crowds go by as you sip on Turkish coffee. Chill out in a tea garden, or take to the time-honoured tradition of the hammam (steam bath house) and get scrubbed down on heated marble stones. Opt for a dinner complete with belly dancers and watch some top dancers perform this famous Eastern art. 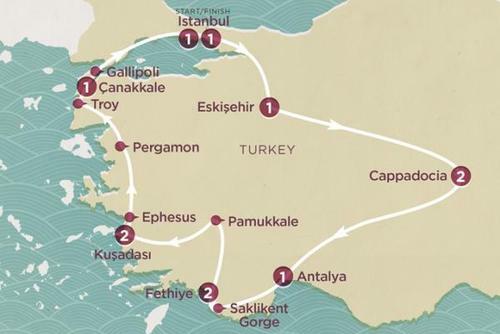 This morning, make a pilgrimage to the site of the region’s bloody battle, Gallipoli. Visit ANZAC Cove where World War I troops landed, Lone Pine Cemetary, where Australian troops are buried and pay tribute at the memorial for New Zealand soldiers. 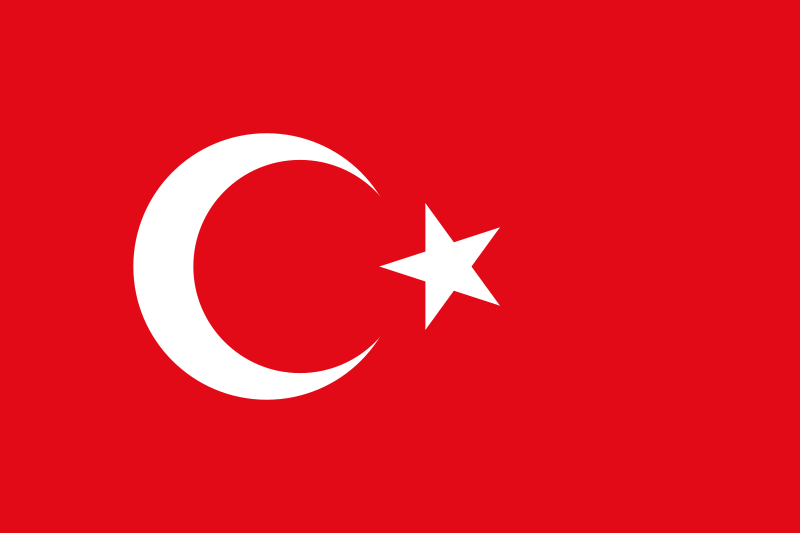 Enjoy some down-time on the coach, following the coastline of the Sea of Marmara before ferrying across the Dardanelles, crossing from Europe into Asia, to the bustling, habourside town of Canakkale. Tonight, take a walk along the waterfront, complete with stunning views or catch up on your emails back at the hotel. Kick start the day with free time in Troy, where you can opt to get inside the legend of one the world’s most famous battles and check out the famed wooden horse. 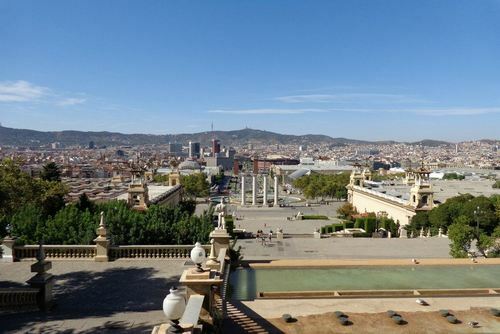 Choose an optional excursion with our expert Local Guide and explore the excavation site of this mythical city as you learn more about how heroes and gods fought in a ten year war. Sticking to the coastline, we stop off in Pergamum, Asia Minor’s former political powerhouse. Now a laid-back market town packed with ancient sites, it has heaps of interesting remains from its former heyday. Join the group for an excursion around the hill-top ruins, where you’ll learn about the town’s history from our expert Local Guide and test the amazing acoustics of its timeworn amphitheatre. Tonight we stay in Homer’s birthplace Izmir, known as the ‘Pearl of the Aegean’. This port town has palm-lined promenades & a buzzing nightlife for you to enjoy. After a tasty Turkish feast with the group, maybe head to the city centre for some sightseeing. There’s Konak Square and Konak Street – where the city’s famous historic clocktower is found, then later, you could find yourself a cute café or bar to relax at this evening. Alsancak & Bornova have some great bars & clubs to experience, so ask your Tour Manager for some tips on the best places to head. Today serves up the opportunity to visit Hieropolis, an ancient Roman spa town and sacred city, sitting in modern-day Pamukkale. As it serves up dramatic scenery, make sure you keep your camera handy at this UNESCO World Heritage site. Arid ridges and white calcium terraces, formed by mineral waters, steal the scene as water pours over the cliff’s edge. In Pamukkale there’s your chance to treat yourself to our optional thermal pools experience. The Pamukkale pools are famous for their healing properties, so kick back in the warm waters with the group and let the minerals work their magic. 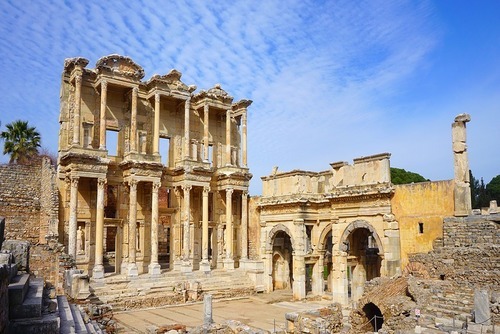 This morning, opt to get a feel for the ancient times with a locally guided tour of the ancient city of Ephesus. Explore this stunningly preserved city that Mark Antony and Cleopatra once visited and learn about its past as a major trading centre. Today you’ll get up close to Turkish culture with a visit to a rug maker and find out about local artistry with an authentic carpet-making demonstration – a craft this country is famous for. Otherwise, rummage through the Grand Bazaar and go local bargaining for leather goods, jewellery or local crafts. Take a break on the lovely Ladies Beach or check out where old merchant caravans used to park up. Fit in some last minute shopping in Turkey before boarding your cruise ship and setting sail to Rhodes in the Greek Islands. On the way you'll make at stop on Patmos, with its sacred spots and wild countryside. Get into the spirit of the island with an optional excursion that takes you to Patmos’ UNESCO World Heritage sites: the 11th century Monastery of the Apocalypse and to the Grotto of St. John – the hilltop cave where John the Apostle lived for many years. As the sunniest island in the Aegean & one of the most beautiful towns in the Mediterranean, Rhodes is so much more than just a holiday paradise. It’s also famous for the Colossus of Rhodes. Although no longer standing, this ancient statue of the Greek god Helios, once stood a massive 30m high above the city & is considered one of the Seven Wonders of the Ancient World. With a day to enjoy this stunning town, take a stroll through the cute medieval Old Town & maybe do some shopping for souvenirs. After lunch, if you’re feeling like catching some rays, head to one of the stunning beaches & find a spot for the day & do some swimming. Today we start the day off with a visit to the biggest of the Greek Islands, Crete. Choose an optional excursion to the Palace of Knossos where our Local Guide will tell you the story of this 4000 year old mythical Minoan Palace, where the minotaur (half-man/half-bull) was slain. Next up: Santorini. This island will make your jaw drop with its stunning natural beauty – the result of a massive volcanic eruption. From the water look up at the iconic blue–domed, whitewashed churches. Once we’re back on land, head up the cliff and the twisting stone steps, save your breath on a donkey ride or take it easy in the cable car for views of neighbouring volcanic islands. Your Rep will fill you in on Fira – dramatically perched on the edge of the crater - as the group explores its narrow streets. Get tips on the best places to pick up a piece of Santorini’s famous jewellery and where to try out the delicious local speciality, domatoktedes (fried tomato balls). Otherwise head to one of the distinctive black or red sand beaches, and soak up the breathtaking scenery. You could jump on an optional boat ride out to the active volcanic island of Nea Kamini. Cruise past lava formations and get up close to the active crater. After breakfast and a farewell to our hosts, we disembark in the Piraeus and head to Syntagma Square. Set right in the heart of Athens and home to Greece’s parliament, this is where our tour ends. For those who are keen to learn more, there’s a chance to step back in time to the birthplace of democracy. Get the run down on the Parthenon and the Acropolis from our Local Guide, as you wander around the famous columns perched above the city sprawl.